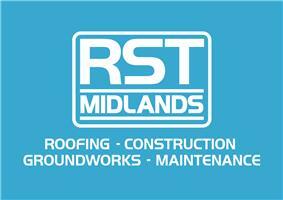 RST Midlands - Builder, Roofer based in Wood End, Warwickshire. Welcome to RST Midlands. We are a family run roofing and building business based in Tamworth, established over 30 years ago. We not only work within the domestic arena but also commercial and industrial work is undertaken. We are based in Tamworth and cover the midlands region. Along with roofing work we also carry out general Building works, construction, ground works, Block Paving and general maintenance. At RST Midlands we focus on providing an exceptional service with competitive pricing. Our work is consistently reliable, providing you with an excellent service every time. We are an ISO9001 accredited company as well as Safecontractor Approved.